Assembled by each couple, these baskets full of their favorite things are truly one-of-a-kind. 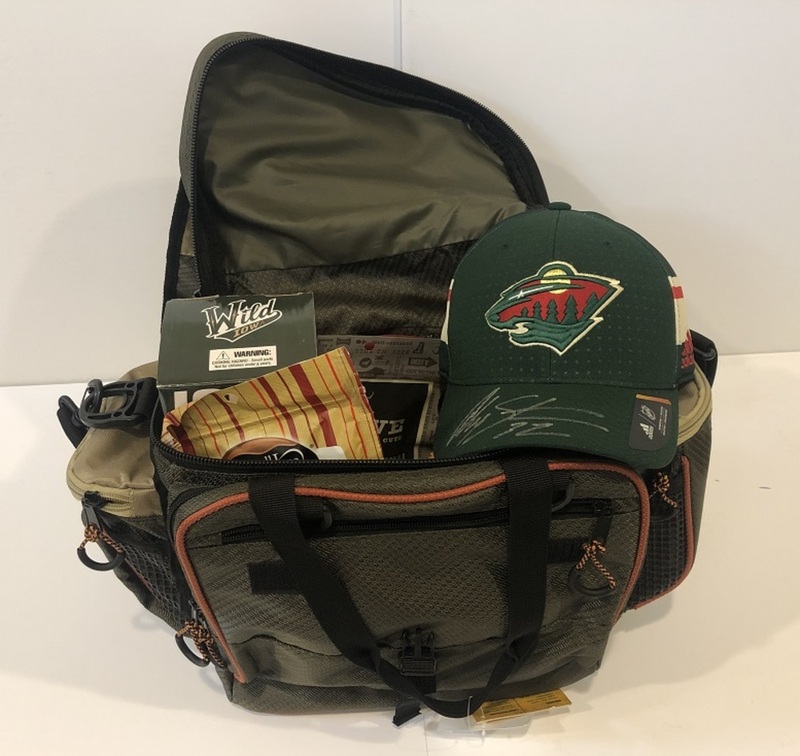 Alex & Felicia's basket includes: a camouflage tackle bag, a Yeti rambler, 3 Rapola fishing lures, a six pack of Bent Paddle beer, a Sony Bluetooth speaker, an autographed Wild hat, an autographed bobble head, and a few of their favorite snacks. Proceeds benefit Women's Advocates, a local domestic abuse shelter.